Launching in February of 2015, MoneyBall is one of Australia's first and largest real money daily fantasy sports sites and is a great addition to any punters arsenal. MoneyBall offers daily and weekly fantasy contests with buy-ins ranging from as little as $2 up to $500 and caters to fans of sports like AFL, NRL, EPL, A-League, NBA, NFL and more. 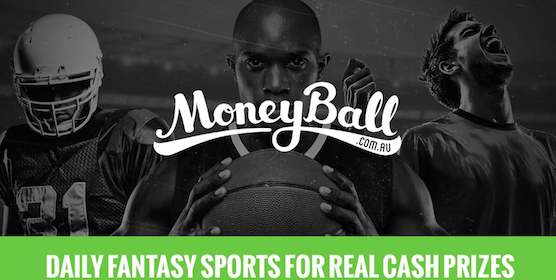 Make sure to read on for more information regarding daily fantasy sports in Australia in our full MoneyBall daily fantasy review. Like all the best Australian daily fantasy sports sites, punters will be happy to know that MoneyBall is fully regulated and licenced to operate in Australia - meaning it is very safe to play real money buy-in fantasy competitions in all states of Australia and across New Zealand. According to an Australian Financial Review article discussing MoneyBall, the pedigree behind the company includes former Fairfax Media digital experts and an advisory board including media, banking, gaming and software industry leaders, so there is no doubt MoneyBall mean business. 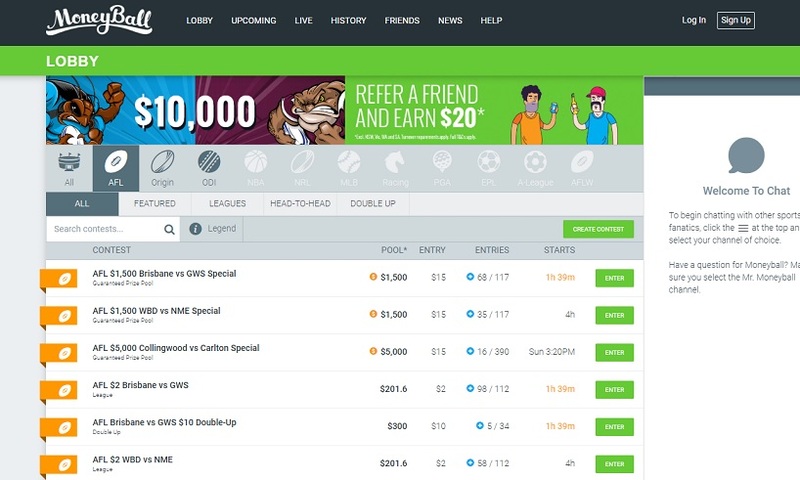 As mentioned on www.moneyball.com.au, they are the first daily fantasy sports site of their kind in Australia and there is no doubt they want to take the Australian sporting community by storm just as sites like DraftKings and FanDual have in the USA. Those familiar with fantasy sports will quickly find the MoneyBall software very easy-to-use with all upcoming contests featured in the lobby section, and details of each specific contest outlined after clicking on the game you are interested in. Daily and weekly fantasy contests are sorted by sporting code, so it's very easy to look at all of the contests on offer for each sport. You can then sort the fantasy contests by amount of entries, prize pool size, buy-in amount and starting time. The rules and point scoring system for each sport and contest is outlined by clicking on any game in the lobby. In general, the scoring systems are quite simple, with points allocated to the usual stats that are recorded in any given sport - i.e your selected players in an AFL contest will receive set points for each kick, handball, mark, tackle etc. Punters will immediately notice that daily fantasy sports like MoneyBall are very similar to games like SuperCoach and Dream Team... Except you play for real money! The best part about MoneyBall is that you don't need any season long commitments like footy tipping or the like. You don't even need week-long commitments, with some contests running for a single day, or even a single game! That means you could play a fantasy sports contest for simply the Friday Night Football game, win some cash and then decide if you want to play some different fantasy contests over the weekend. Rules for each contest can vary, such as how many players you pick and which games the fantasy contest encompasses, but the general goal of each punter doesn’t change - pick your favourite line-up of players, score the most points based on player performance and beat all the competitors in your contest. Think of yourself as a virtual coach who is able to pick whoever you want to make the best team possible. Games can either be played against dozens of other unknown opponents, or you can set up your own league or contest and play just against your friends! Changes to your team can't be made once a contest begins, but once you have entered a fantasy competition on MoneyBall, you will be able to sweat your team live, including comparing how your team is scoring compared to your opponents. MoneyBall is quite simply a fun way to sweat sports and break up the monotony of general punting. So why not, click to sign-up to MoneyBall and give Australia's best daily fantasy sports site a try! Moneyball have also recently introduced their brand new horse racing feature! 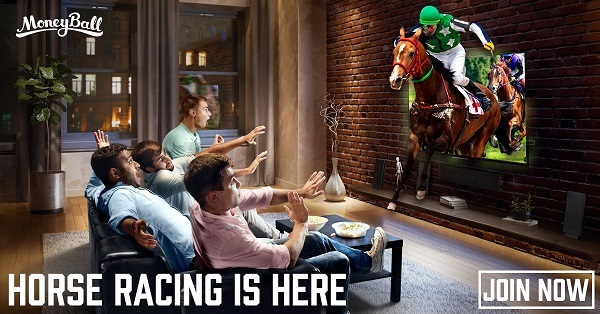 Now punters can not only create their fantasy sports team in a range of different sports, but they can also assemble their dream stable in most major city racing meets! Head to the Moneyball lobby and click the horse racing tab to check out the great range of daily events!